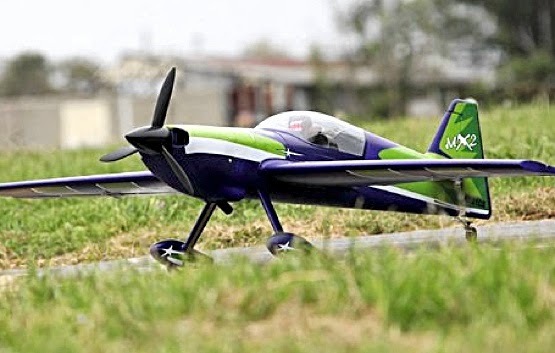 The MX2 RC radio-control (RC) plane is a big beast sporting a 1.4m wingspan - more than four and a half feet across the wingtips. And taking a similar type of full-size plane along the Corinth Canal, Greece, is ace Hungarian pilot, Peter Besenyei. SMN report: Watch the video (below) to see Red Bull aero-ace Peter Besenyei, as he takes his plane on an amazing flight through the famed Corinth Canal in Greece. The Hungarian pilot hurtles along the 21.4 m (70 ft) wide rock cutting, while performing impressive aerial manoeuvres and chest-bursting high-G tricks. Pretty good action photography we reckon. 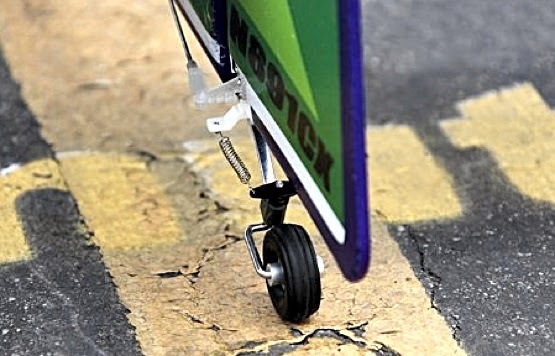 But we can't all be air aces, so a good next best bet is to build and fly a decent-size RC aircraft. 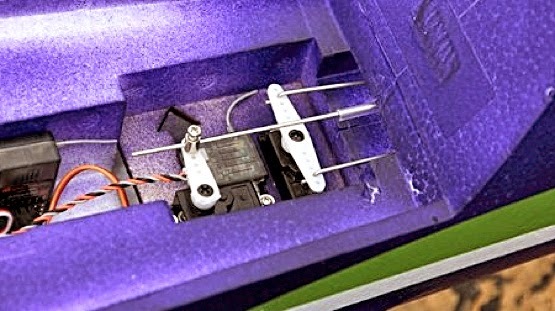 The Starmax MX2 RC (header, below) is powered by a powerful brushless electric motor, so there are none of the hassles connected with traditional fuel model engines. According to the makers, the MX2 RC will, "...rocket and weave through the skies, rolling, looping, twisting an turning as fast and as steeply as your skills and nerve will allow!" 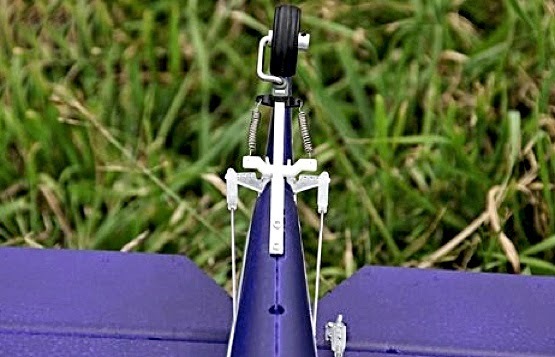 Models like this make a real change from building plastic kits, as there is so little actual building to do before you can take the thing out and fly it. This one is an RTF (Ready To Fly) kit, a version that comes 80 percent ready-built from the box. For non-techies, the electronics are a joy to behind - not only are they all supplied, but they also come fitted and ready for takeoff. In the air, the MX2 RC's size gives it a big advantage over smaller RC aircraft - stability - both through aerobatic moves, and in gusty weather. Where lesser machines are blown about the sky, the big MX2 RC remains a stable platform. The full size MX2 is a carbon-fibre, two-seat tandem sport aircraft, built in North Carolina, US. The allied MXS-R is a single-seater, well-known as a high performer in Red Bull Air Races. 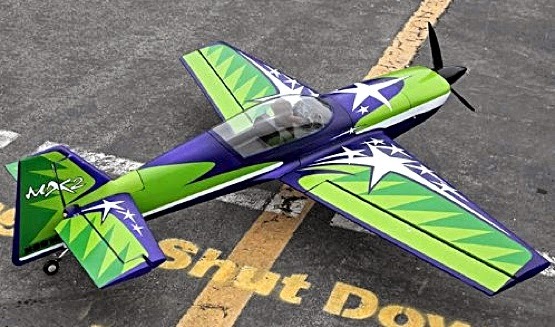 Manoeuvrability of the real MX2 is eye-popping, with 12G plus- and minus-loads easily achieved in aerobatic manoeuvres such as tight turns, loops, and stalls. In scale terms, that performance is more than matched by the model version, which is finished in the same markings as the Gary Ward Airshows team. Click here for more amazing Red Bull flying.